The wrapper is configured to install and run the official GOG version of the Star Wars X-Wing Special Edition for Windows from 1998. Please follow the instructions below to install and run the GOG version of Star Wars X-Wing Special Edition (1998) on this wrapper under OS X. You need a compatible USB joystick or gamepad (please see details below). Game crashes on launch if no compatible USB joystick or gamepad was detected. Make sure you have a compatible device connected. Game crashes when enabling 3D hardware support in Flight Options. Make sure it's set to 640x480x16bit. Purchase and download the GOG version of Star Wars X-Wing Special Edition from gog.com. Download the Star Wars X-Wing wrapper from the download link on this page. Unzip the downloaded Star Wars X-Wing (1998).zip file. Hold the ctrl key and make a mouse click on the unzipped Star Wars X-Wing wrapper icon. Select Show Package Contents in the contextual menu. Make a ctrl-click/right-click on the Wineskin icon and choose Open from the contextual menu (see https://support.apple.com/kb/PH14365 for details). Select the setup_sw_xwing_2.0.0.5.exe file you downloaded from gog.com. Run the Star Wars X-Wing installation. Ignore the error messages at the end of the installation. Click the Exit button. Make sure XWINGTIE.EXE is selected as Windows EXE. Please note that the game crashes immediately if you have no compatible joystick or gamepad connected. Wine gets continuously updated. In most cases performance and stability improve with new releases. You need the Wineskin Winery app to download the latest Wine engines for OS X.
I am using WS9Wine1.7.50 on this wrapper. Use the comments to share your experience with new versions. To be honest, I don't know if this wrapper is really that useful. It's no less work then if they had downloaded wineskin winery and created the wrapper themselves. At least the downloads are smaller, as wineskin engines are compressed a lot more. Also you must have set DDR from OGL to GDI mode to fix the flickering, which is not the right solution to the problem as it blocks the ability to use hardware mode later down the road. You're right, it's just a standard Wineskin wrapper, nothing special, no modifications other than the icon. However, most users don't know how to make a wrapper. And maybe it's an inspiration for GOG. Regarding music during missions. Is this a bug related to Wine or a general limitation of the '98 version of the game? Instead they replaced the ingame midi music with Redbook audio of John Williams Score. I see, thanks for the info. That means even the Star Wars X-Wing 1998 version for Windows has the music issue in a custom Wine wrapper from GoG? when I said wrapper, i"m talking about their winmm.dll not a wine wrapper. first, I'm french so my english isn't as good as I want (f*** froggies)... Second, I run a MacOS Sierra Imac. "Select the setup_sw_xwing_2.0.0.5.exe file you downloaded from gog.com"
"Cannot write to info-plist, there are permission problems, or you are on a read only volume. This cannot run from within a read-only dmg file"
"Oops! No new executables found! Maybe the installer failed...? If you try to install somewhere other than C: drive then you will get this message too..."
Oh!! Did I tell you I am a lollypop in computer use?! Please!! Help!! I want to destroy some Tie Fighters but caaaaaaaaaan't!!! 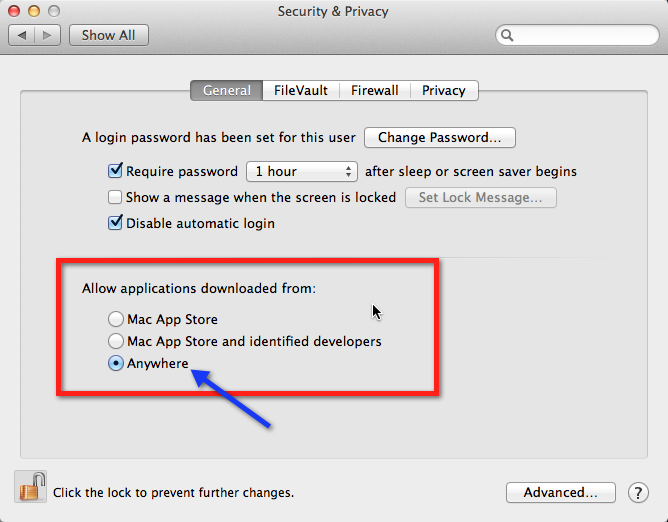 @Nemesis0584: Can you go to System Preferences -> Security &amp; Privacy. What is selected for "Allow apps downloaded from"? Please try with "Anywhere" selected. Does the .exe file downloaded from GOG have to be placed in a special location (drive-c for example) or can I leave it on the desktop? I finaly use Winebottler and it worked!!! It was exhausting but thanks for the adventure ;n) !! And now, I must buy a Joystick!!! @Nemesis0584: Glad you solved it. You don't need a FAT32 partition. I wonder if you are logged in as guest user if you have no "Anywhere" button. So I figured it out!! The problem comes from Mac OSX Sierra... If you have the same issue, please go to http://macbookcity.f...ur-macos-sierra, They have the answer!! I changed my config on the terminal and that's it!! "Anywhere" is now available on my security options! !